In the mid-20th century, Savannah was a very different place. Many of its homes stood vacant and derelict, and there wasn’t much value placed on preservation. Why maintain an abandoned old house, unique as it may be, when the valuable downtown lot can be sold for parking? From north to south, east to west, Savannah’s historic squares were coming under assault from the most hideous sort of re-development. In 1955, when a parking company announced its plans to buy the Isaiah Davenport House on Columbia Square, certain members of Savannah’s society stood up and said, “enough.” This house was one of the country’s most important examples of American Federal architecture, and the idea that it could be demolished for yet another parking lot was too much to bear. 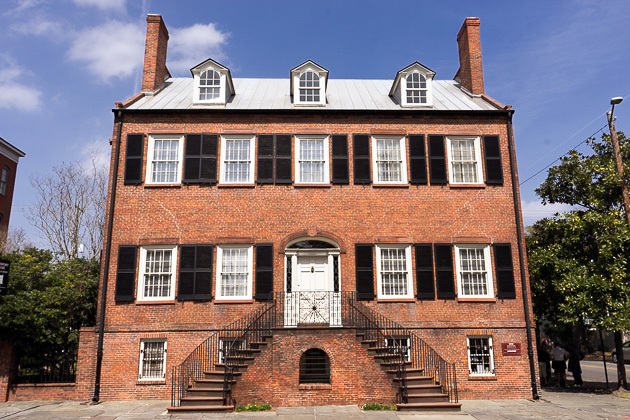 Under the leadership of Katherine Summerlin, a group of seven women united as the Historic Savannah Foundation, and raised enough money to purchase the property. They restored the Isaiah Davenport House, and opened it as a museum in 1962. And they didn’t stop there. Over the next few decades, the foundation snatched up property after property, quickly settling into a comfortable rhythm of buy-restore-sell, which allowed them to continue until over 500 of Savannah’s most notable houses had been saved from the wrecking ball. After taking a tour of the Davenport House, it’s clear why this property was the catalyst for action. It would have been a travesty for it to have been lost. Isaiah Davenport was an architect by trade, and his house was built as both a residence for his family, as well as an advertisement for his skills. We loved our tour, which brought us into the family’s living quarters and salons. Each room has been designed to mimic an 18th-century residence, with period furniture and wallpaper copied from period patterns. 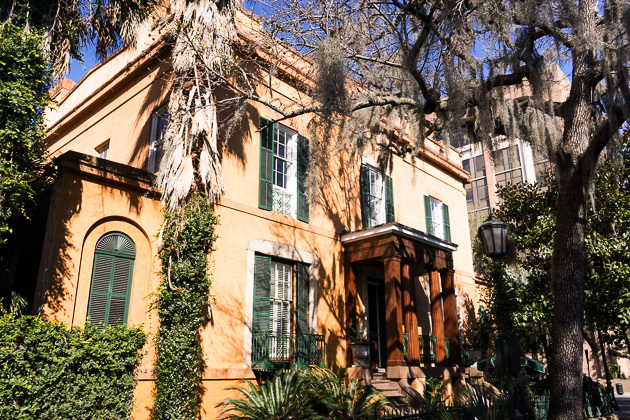 If you want to understand Savannah’s history, a visit to the Isaiah Davenport House is a must. Today, the necessity of preserving important works of architecture seems self-evident, but it’s important to remember that this hasn’t always been the case. Without the tireless work of a few dedicated individuals, Savannah would be a very different place. The Isaiah Davenport House It's impossible to imagine Savannah without the stunning mansions which adorn so many of its squares and streets. But the city's architectural heritage was once in real danger of disappearing completely. The struggle to save Savannah's soul began in 1955, at the Isaiah Davenport House.